My name's Benedict, and I'm the owner of 'The Little Welsh Dresser'. With alot of help from my family, and creative ideas from my wife Sarah, we opened at the end of September 2014. 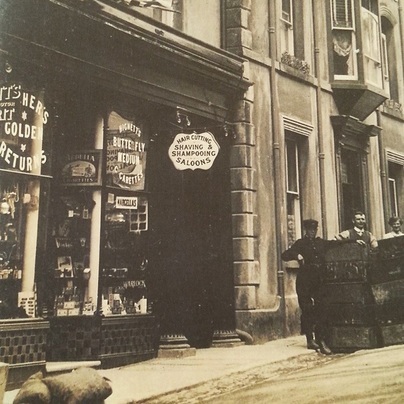 My great grandparents bought it around 1905 and ran a tobacconist, their children then carried this on and later turned it in to a health food shop / dry foods (ahead of their time! ), my father helped run this with them. My father inherited the building, and for quite awhile he rented it out to a couple of different wine bars, and then as an Indian restaurant for a long time - when they left, it ended up being empty for just over a year. A video showing TV clips from inside the shop in 1985 and 2016. The top right has my gran, Mair when the shop was selling organic produce and on the bottom left is myself when we featured on Heno around Christmas 2016. Although Me and Sarah lived in Cardiff at the time, we got married in Llandeilo in late 2013, and this planted a desire in our minds to return to Llandeilo. Having the shop empty for so long gave me the opportunity to realise a dream of coming back to Llandeilo and opening my own shop! 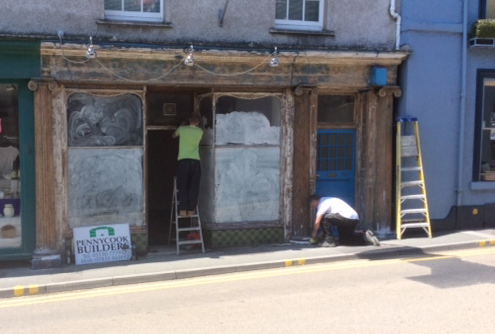 Me and my wife had been using Chalk Paint™ for a few years, and felt it would fit in perfectly in Llandeilo. I'd also been running an online welsh gift shop for a few years, and felt that the two would combine nicely. Having decided to leave my job, it suddenly became very real! 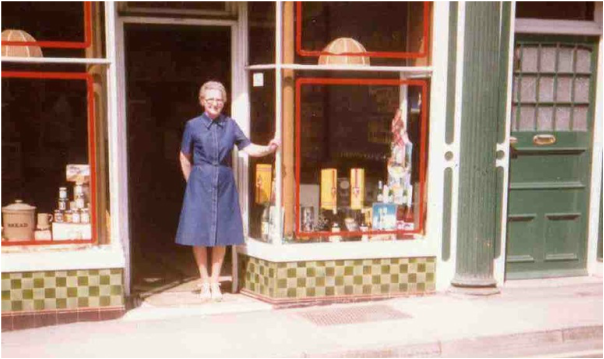 I was also lucky that both the original shop counter, and a large display cabinet had been kept - these have also been restored and are once again used at the shop. And that brings us to opening day! 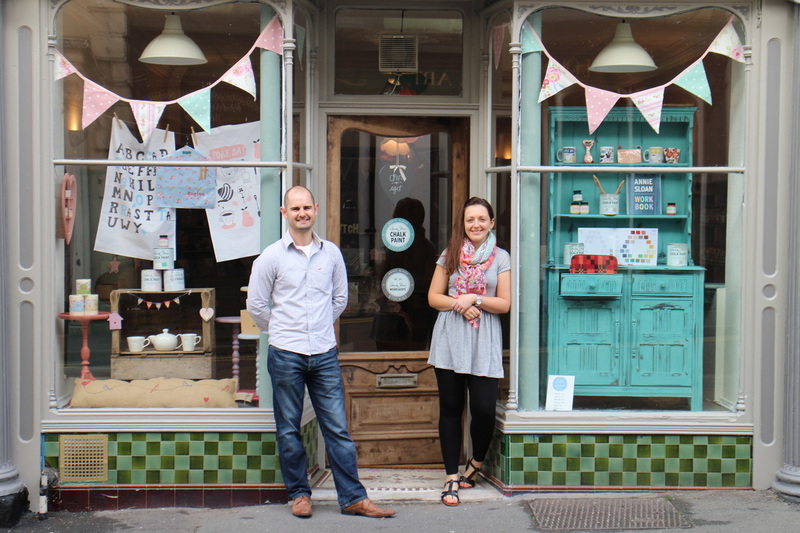 Here's a photo of me and my wife as we'd just opened the shop back in September 2014! A creatively inspiring boutique, full of Welsh gifts, cards, artwork, Melin Tregwynt, interior accessories and lots more! 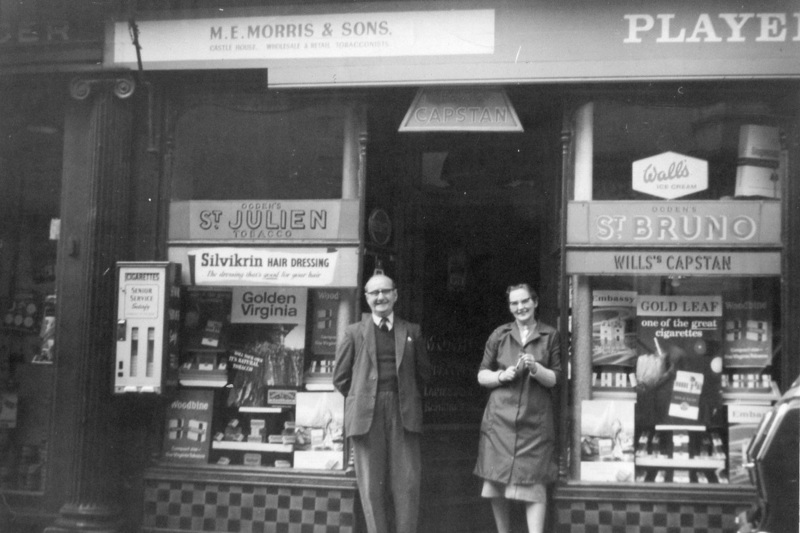 ​If you're in the area, please pop in and say hello!